The 30- year police veteran takes over from Francis Habgood and has been deputy chief constable for Thames Valley Police (TVP) since 2015. Mr Campbell has held police positions across three forces beginning his career as a bobby on the beat in 1988. Mr Campbell said: “I joined west Midlands police in 1988 and spent 13 years there. I transferred to Hampshire in 2001 and then Thames Valley in 2010. “I’ve done normal policing and I’ve done some specialist stuff. I’ve been a hostage negotiator, a police commander in Portsmouth and then in Thames Valley I was in charge of operations. Banbury’s main problem in recent years has been the rise in county drug lines and cuckooing – the take over of a person’s property, usually a vulnerable person, by drug gangs to be used as a de facto headquarters for the distribution of street drugs. TVP have made some inroads to this problem and will continue to make county lines a priority. Mr Campbell said: “I think the public is starting to understand a little bit more about county lines. The reality is at different locations around TVP – Banbury is no different – you have the cuckooing business, you have a lot of money associated with drug dealing and what we really rely on is people giving us the information either through their neighbourhood teams or contacting us in other ways. “If they start to see concerns about what might be a county drugs line or they are hearing stuff then let us know. He added: “It’s a whole team approach , you’ve got the neighbourhood policing on the ground that are working with the community, listening to what’s going on and being that familiar face. “Then you’ve got, where necessary, the larger units that are used to target county drugs lines, we’ve got the intelligence packages and some of the covert stuff we do as a police force and then going through the door and executing warrants. “What we are doing is reacting and saying if they want to come back to Banbury and deal drugs then we will respond quickly and send them back from whence they came. I’d rather see them in prison frankly. Rural crime has also been in the news with village shops and post offices being repeatedly targeted by crooks. The impact of such crimes is not lost on the new police chief. Mr Campbell said: “What we have seen actually with recent figures is a reduction in rural crime in most areas, it’s down two or three per cent to what it was. “We do recognise the challenge around rural crime is that the crime type itself may not have the volumes but it still makes people feel very unsettled and vulnerable and they feel there isn’t enough of us around. 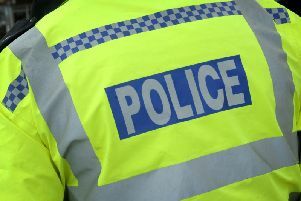 The police budget has recently had a boost with an approved increase from a rise in council tax but Mr Campbell warns that in real terms this is not quite the panacea it appears.